This is something I’d been craving for the last few weeks, and I was pretty pleased with the end result. The two flavors go very well together, and this makes enough that it was every lunch and dinner for me for almost a week. 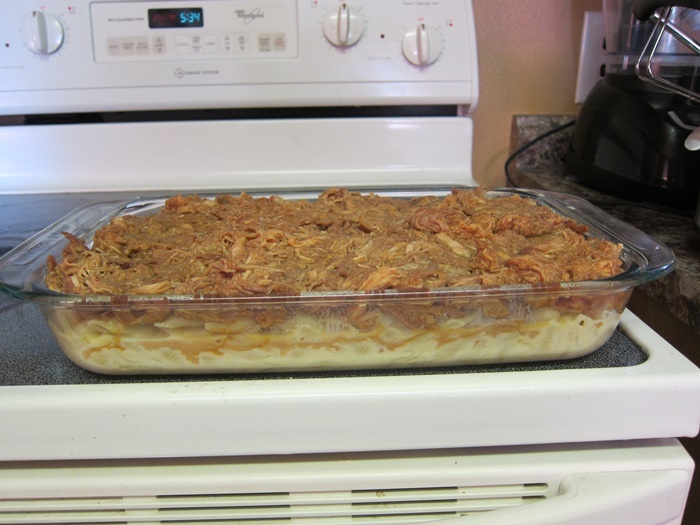 Where this takes a bit of time at the end to pull the pork and make the mac & cheese, I figured an easy/quick morning would be nice and used bottled bbq sauce, but if you have a favorite recipe from scratch, you could probably use it. 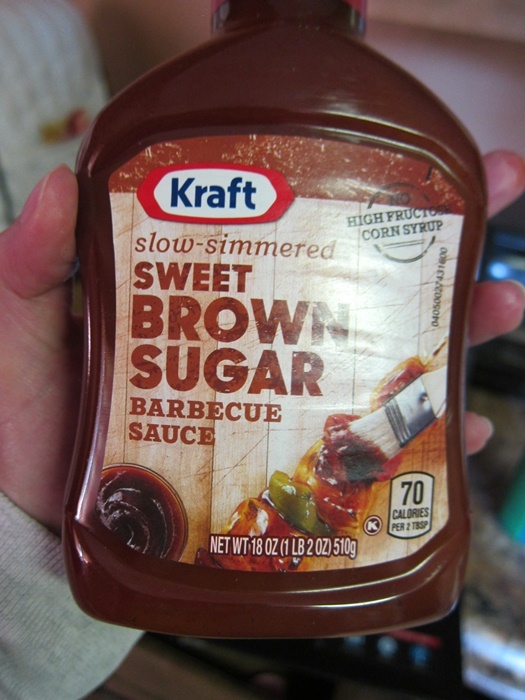 Just keep in mind that a sweet bbq sauce goes better with the mac & cheese than a strongly vinegar or mustard-y one. A quick heads up: There’s probably going to be a week or two ‘summer break’ for the blog starting, oh, say, right after you finish reading this post! 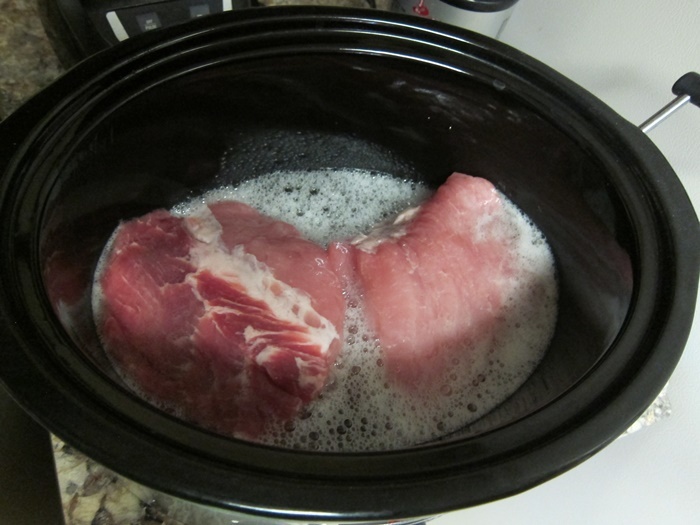 To prepare the pork, place the gingerale and pork in a crockpot, cover, and cook on low for 8 hours. 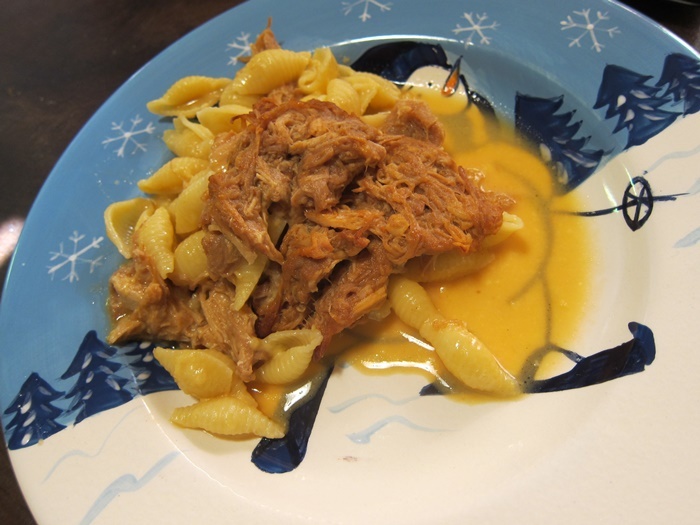 Remove from the crock pot and shred using two forks, then return the shredded meat to the liquid in the crock. Stir in the bbq sauce, then leave turned on low heat with the lid off while you prepare the shells. Preheat oven to 350 degrees. 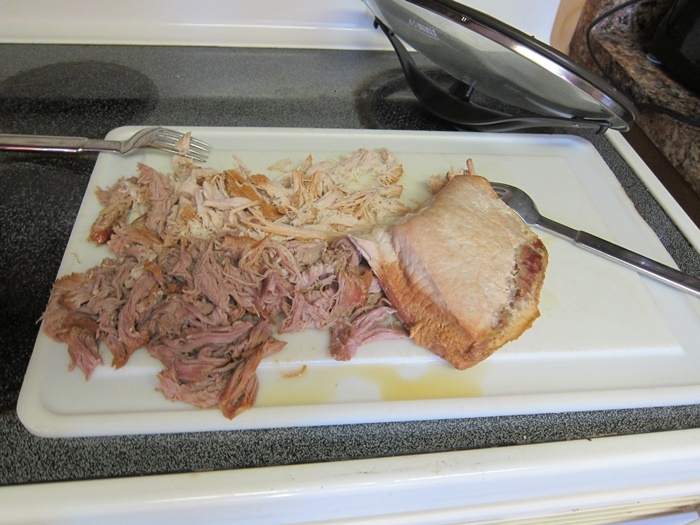 Lightly grease a 9X13″ pan. Cook the pasta al dente according to package instructions. If the pasta finished boiling before the cheese sauce is prepared, toss it with a small amount of olive oil to prevent it from clumping. In a large pan, melt the butter over medium heat. Add the flour and whisk until there are no dry flour clumps left, then slowly whisk in the milk until smooth. Reduce heat to low, and whisk until thick and creamy. Sprinkle in the cheese and continue cooking and stirring until completely melted. 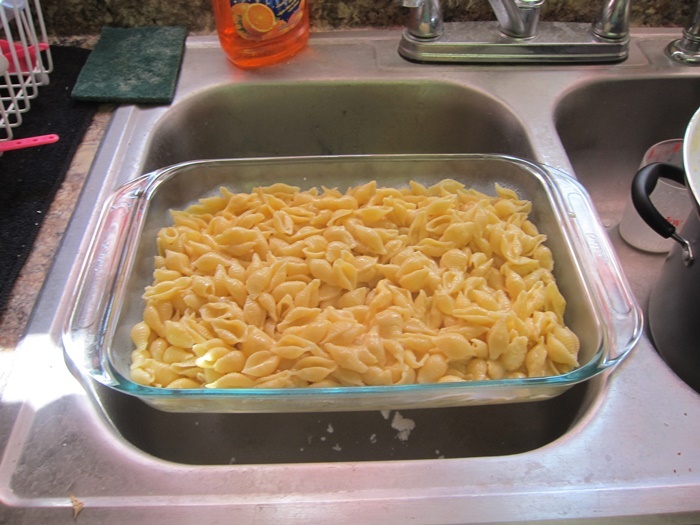 Transfer the macaroni and cheese to the greased dish and spread evenly. Seemed the best place in case I missed. 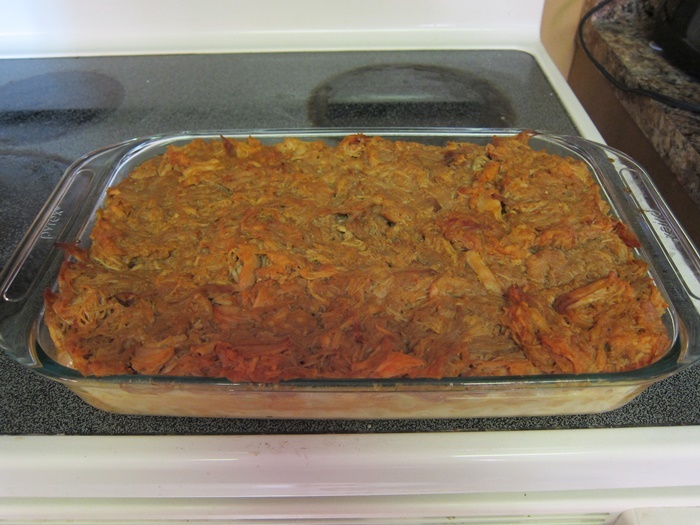 Top with the pulled pork – you don’t HAVE to use all of the pork, but it will fit on if you want to. 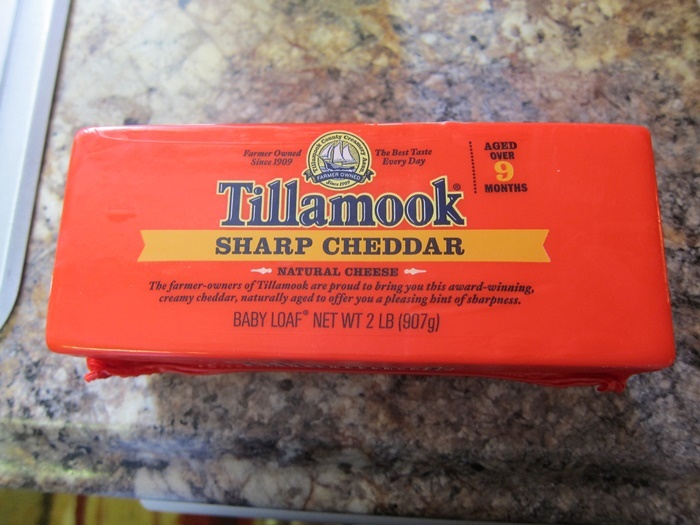 Top with extra cheese, if desired, then bake 15 minutes. Drizzle servings with extra bbq sauce if desired. 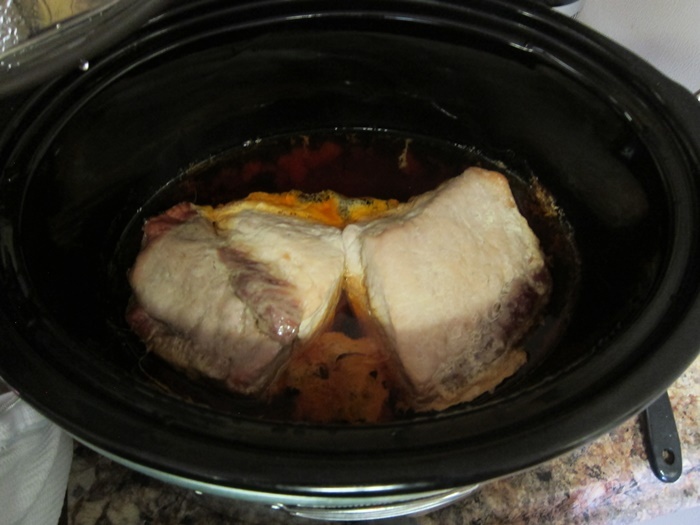 To prepare the pork, place the gingerale and pork in a crockpot, cover, and cook on low for 8 hours. 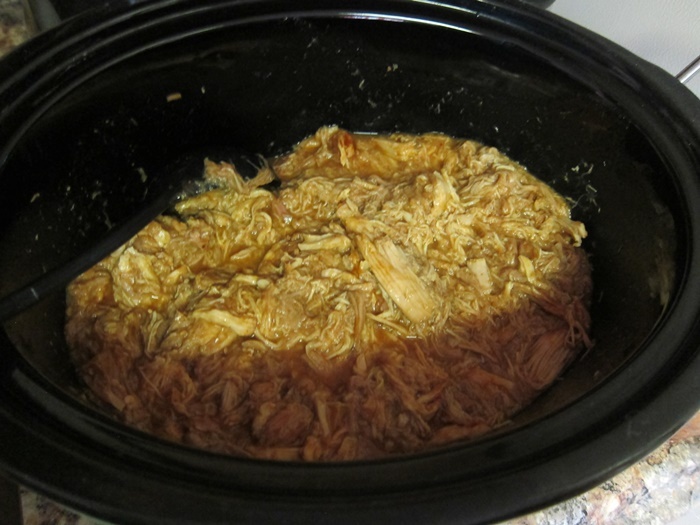 Remove from the crock pot and shred using two forks, then return the shredded meat to the liquid in the crock. Stir in the bbq sauce, then leave turned on low heat with the lid off while you prepare the shells. In a large pan, melt the butter over medium heat. Add the flour and whisk until there are no dry flour clumps left, then slowly whisk in the milk until smooth. Reduce heat to low, and whisk until thick and creamy. 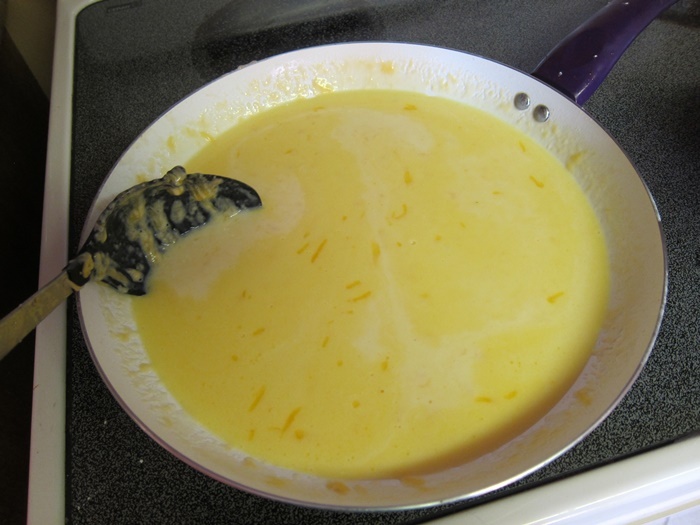 Sprinkle in the cheese and continue cooking and stirring until completely melted. Remove from heat and stir in the cooked pasta. 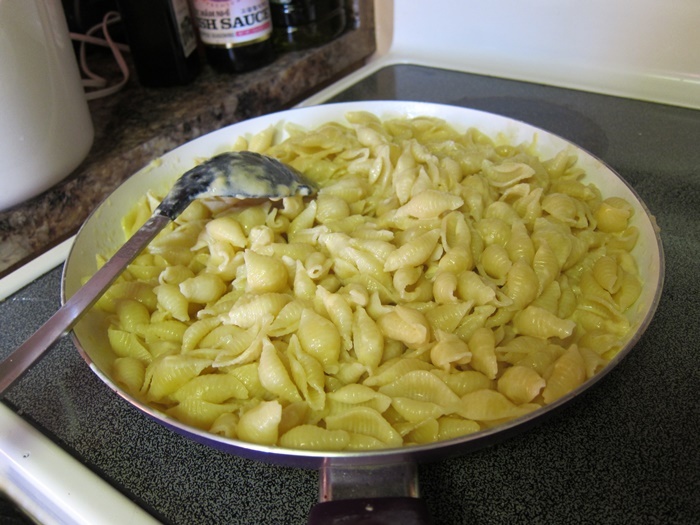 Transfer the macaroni and cheese to the greased dish and spread evenly. Top with the pulled pork. Top with extra cheese, if desired, then bake 15 minutes. 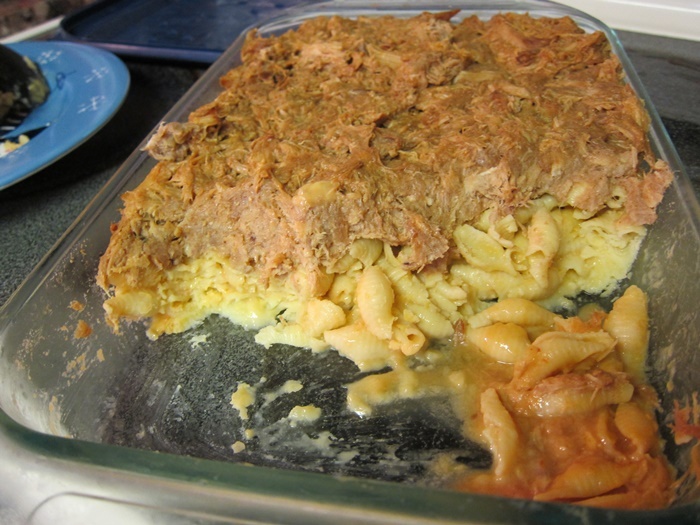 This entry was posted in Dinner and tagged Mac and Cheese, pulled pork. Bookmark the permalink.